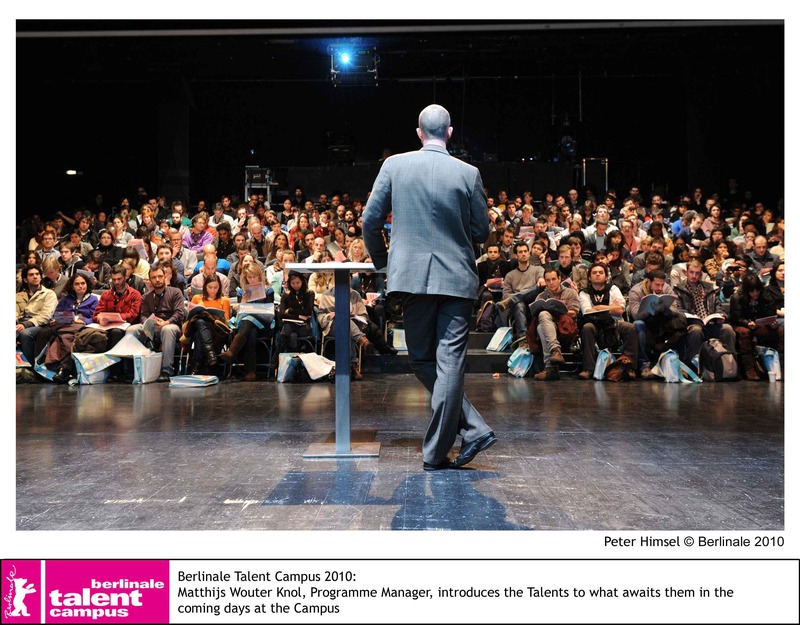 A small selection of this year’s Talent Campus panels is now up on their website. You can WATCH THEM HERE. I need to move on so I’ve decided to conclude my ‘Highlights’ series with my own two-step Action Plan based on this short experience; something I can post up on my office wall. The following is drawn from the spirit and wisdom I was exposed to while also processing some ideas I’ve had in my head for a while but failed to implement. Berlinale – More to come . . . If you enquire after the rising stars in film composition on the Hollywood scene, you will inevitably encounter the name of Alexandre Desplat. With a well-grounded background in film composition, extensive experience and an evident personal style, this French composer, after having composed the music for over 50 European films, began his triumphant success around the world in 2003 with the wonderful neo-classical and haunting score of GIRL WITH A PEARL EARRING and the Silver Bear-winning score for THE BEAT THAT MY HEART SKIPPED(2005). With a gift for rich, cinematic melody, his varying and sensitive orchestral style, his ear for rhythmic precision and his keen sense for dramatic nuances has been enriching the world of film music across the globe. He has made award-winning scores for such films as THE PAINTED VEIL, THE QUEEN, BIRTH and THE CURIOUS CASE OF BENJAMIN BUTTON. Using excerpts of the diverse films he has worked on, this prolific composer will discuss the ways of introducing the mood of a film through the opening music, the timing of a score and heightening of suspense moments within a scene. He will elaborate on the music in historical films or those made on foreign ground, and his approach to composing a score at a time when scores are increasingly being written before the film is edited. He will also talk about his close collaboration with various film directors and the differences in the production of European and US American films. You know when you meet someone who is not only passionate about what they do but is also able to articulate that passion and their craft to the point that you actually want to drop everything and pursue that career? Well that’s how I felt after this session. As he talked about his work I was reminded of an interview I saw with Walter Murch who has a habit of using very visual and physical analogies to describe his craft as an editor. I thought this was something unique to Murch but after listening to Alexandre I think the reason these practitioners are so good at what they do, besides talent and hard-work, is that for them the raw tools they work with, notes or images, are very physical objects that have weight and volume. They each have emotive qualities. For them they are multi-dimensional with personalities. I’m mean listen to cinematographers talk about ‘carving light’ or production designers describe how a color feels. To use music expertly, one can’t simply lay a track over the sequence of images hoping the two will fit perfectly; that’s like assuming you can buy a suit off the rack and wear it straight away. There needs to be some ‘tailoring‘ that stiches the music to the images moment by moment. The process of sewing music into a film is a way of reediting a film – because it has the potential to enhance or change the story/mood/theme. He chooses to work with musicians that bring something of their unique personality and playing style into a project. Each instrument in a piece and the energy/technique it is played with says something to the audience, at least subconsciously, so choose them wisely. Silence is as important as sound. Music is a way of agreeing or disagreeing with what’s happening on screen. The first thing I’d like to highlight about my experience at this year’s Talent Campus was all the great fellow talents I met – I learned more from them than anyone else. I got a chance to meet and network with filmmakers from all over the world. I was especially interested in the ones that were in a similar phase of their career as my own where they’ve worked on a couple of shorts and are trying to progress to feature-length work. It seemed that many of us face similar obstacles in our respective nations because of a lack of funding and opportunity. One possible solution is for us to collaborate across borders and pool our resources. We traded advice about applying to various funds, films to watch, books to read, etc. I learned about countries I’ve never been to, like the Scandinavian & Icelandic nations and realized I need to travel more. I’m inspired by several talents who seem to have figured out a balance between their day job, their passions, and giving back to their communities. I don’t know if we’ll get a chance to collaborate in the future but regardless I’m indebted to them for their inspirational and wise words – thank you!